As conventional-oil resources are depleted worldwide, vast heavy oil reserves available in various parts of the world become increasingly important as a secure future energy source. 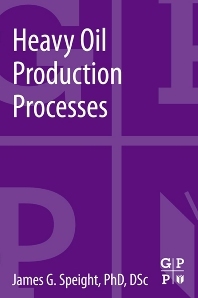 Brief but readable, Heavy Oil Production Processes discusses the latest improvements in production processes including; thermal methods (steam floods, cyclic steam stimulation, SAGD) as well as non-thermal methods (cold flow with sand production, cyclic solvent process, VAPEX). The book begins with an overview of the chemistry, engineering, and technology of heavy oil as they evolve into the twenty-first century. The preceding chapters are written to provide a basic understanding of each technology, evolving processes and new processes as well as the various environmental regulations. Clear and rigorous, Heavy Oil Production Processes will prove useful for those scientists and engineers already engaged in fossil fuel science and technology as well as scientists, non-scientists, engineers, and non-engineers who wish to gain a general overview or update of the science and technology of fossil fuels. The not only does the book discuss the production processes but also provides methods which should reduce environmental footprint and improve profitability. Sources. He is recognized as a world leader in the areas of fuels characterization and development. Dr. Speight is also Adjunct Professor of Chemical and Fuels Engineering at the University of Utah. James Speight is also a Consultant, Author and Lecturer on energy and environmental issues. He has a B.Sc. degree in Chemistry and a Ph.D. in Organic Chemistry, both from University of Manchester. James has worked for various corporations and research facilities including Exxon, Alberta Research Council and the University of Manchester. 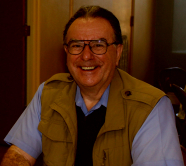 With more than 45 years of experience, he has authored more than 400 publications--including over 50 books--reports and presentations, taught more than 70 courses, and is the Editor on many journals including the Founding Editor of Petroleum Science and Technology. Editor, Petroleum Science and Technology (formerly Fuel Science and Technology International) and editor of the journal, Energy Sources. Dr. Speight is also Adjunct Professor of Chemical and Fuels Engineering at the University of Utah.